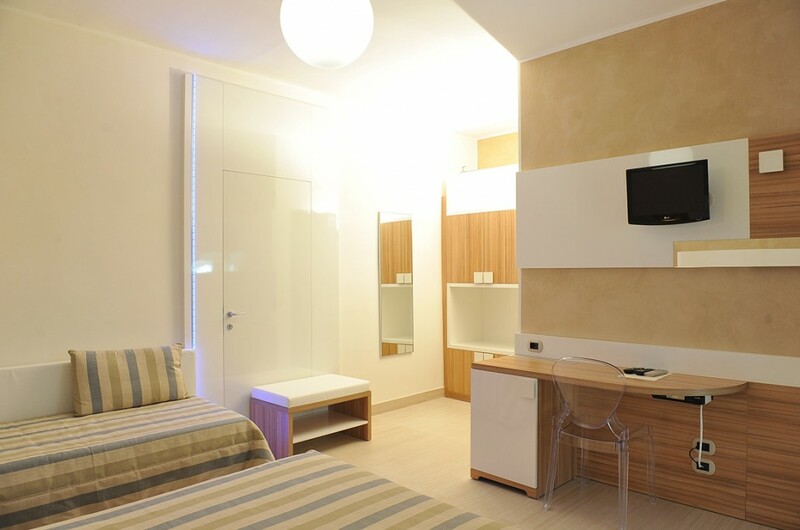 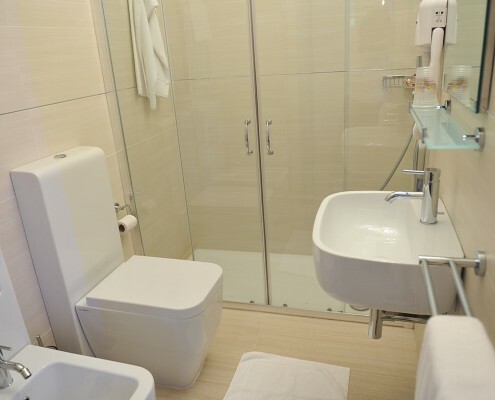 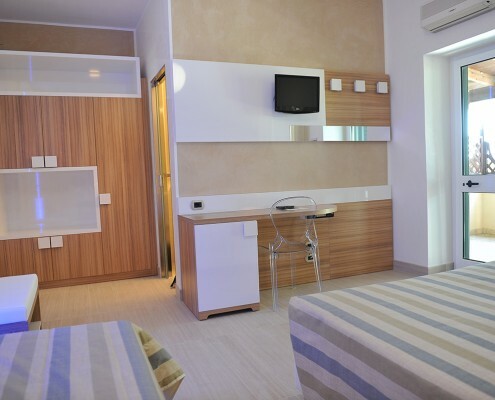 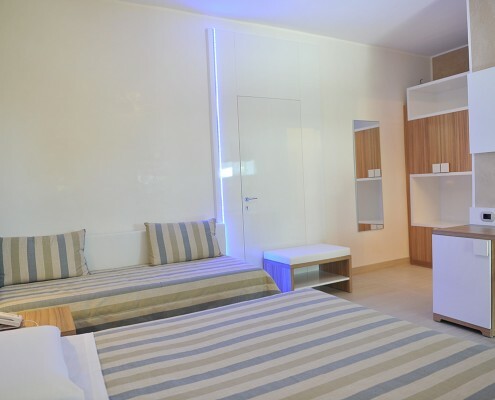 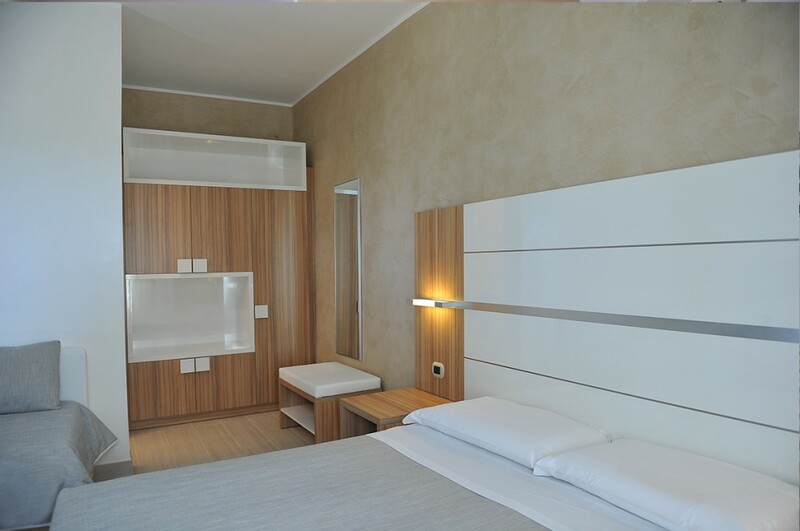 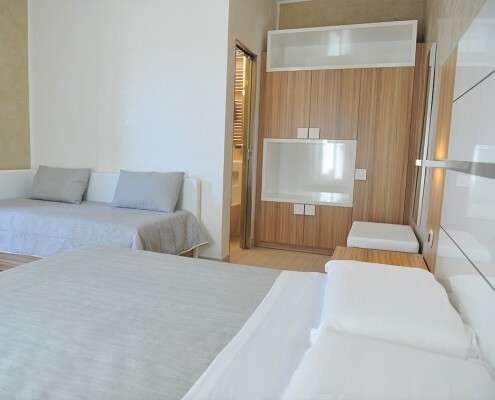 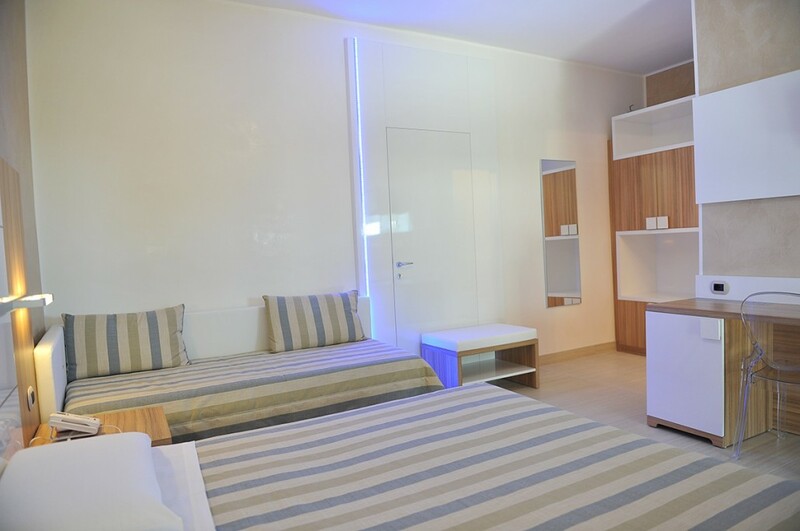 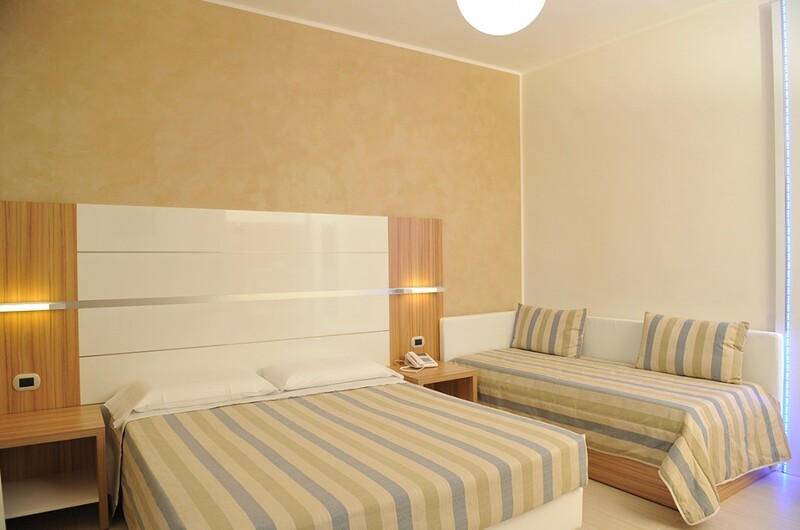 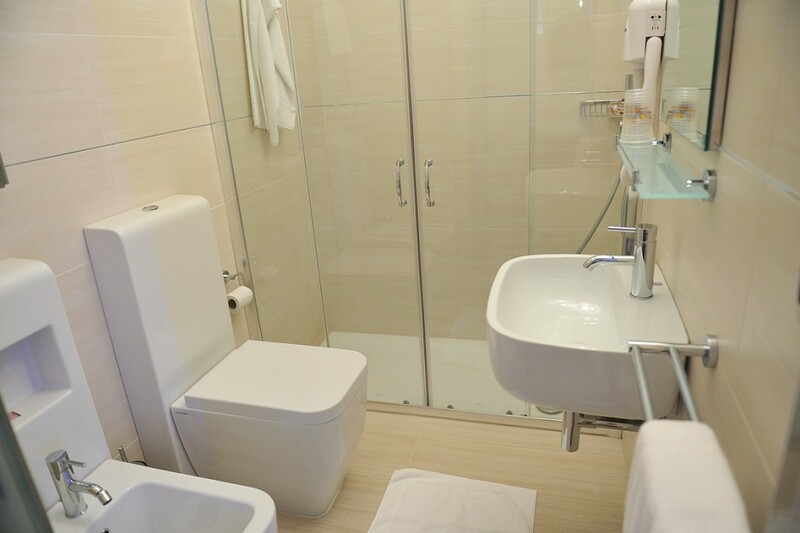 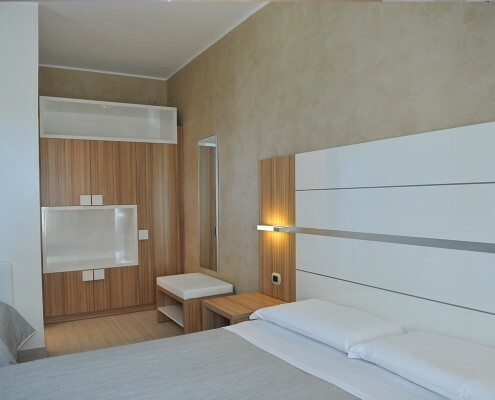 Bacino Grande Hotel (3 stars category) provides 16 rooms recently renovated and decorated with delicate tones; modern and perfectly functional style. 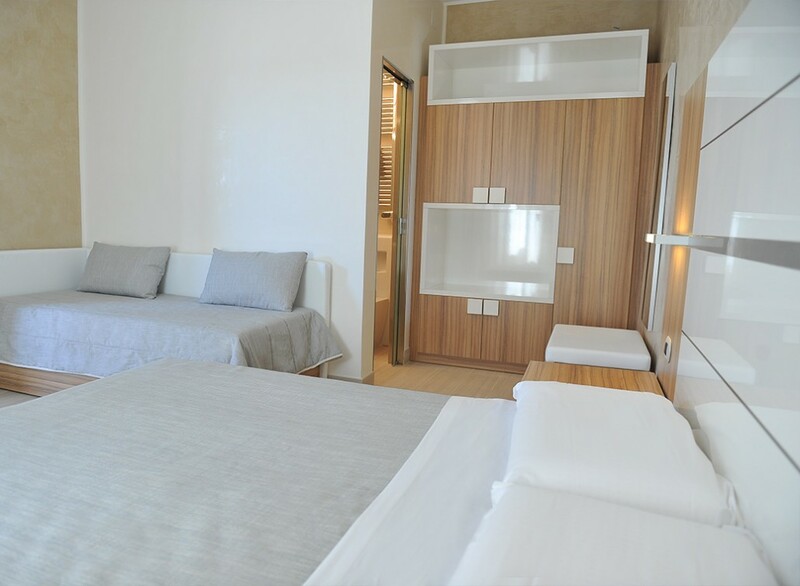 All rooms are bright and airy. 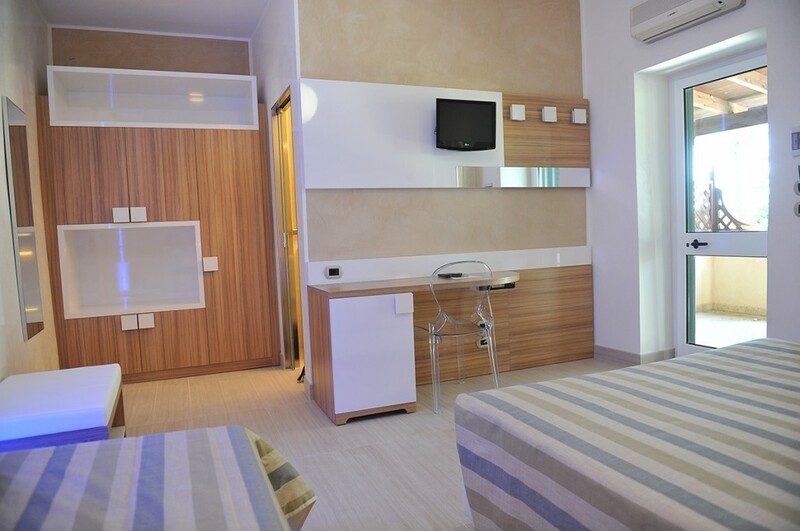 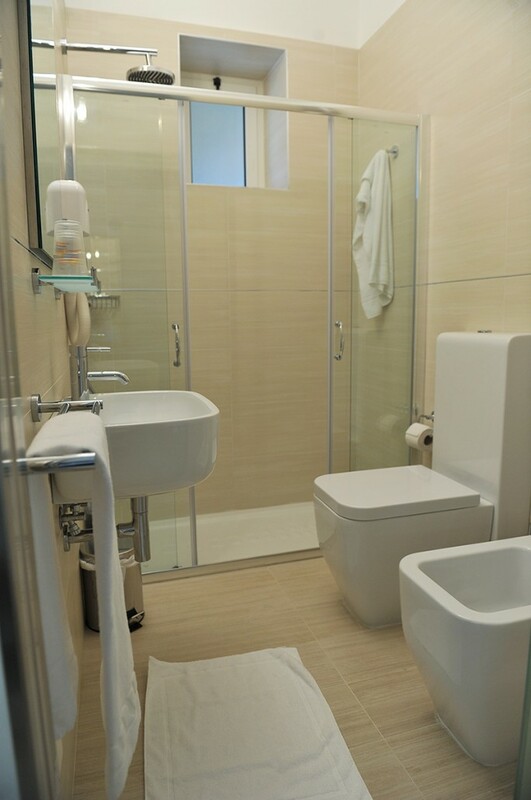 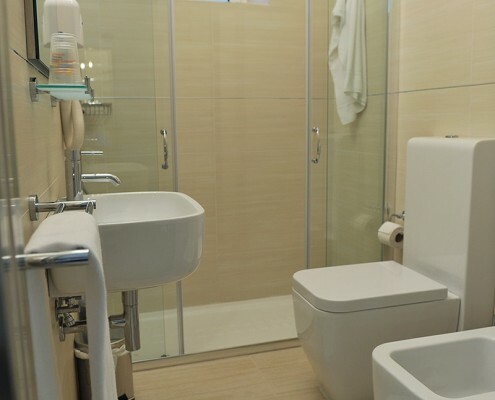 Private entrance, patio and all comforts: tv, minibar, telephone, beach service.B&B treatments, half board, full Board.